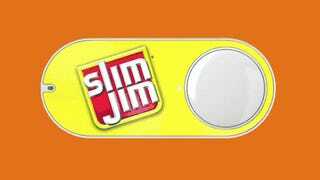 When Amazon first announced the Dash Button in early 2015, we couldn’t decide whether it heralded a more convenient future or whether it was a harbinger of our doom. Since then, the number of Dash Buttons has ballooned, but they have yet to escape the confines of being “plastic things that order things” Cool, but not terribly exciting. This new button is different. For example, you can click the button to unlock or start a car, open your garage door, call a cab, call your spouse or a customer service representative, track the use of common household chores, medications or products, or remotely control your home appliances. The button can be used as a remote control for Netflix, a switch for your Philips Hue light bulb, a check-in/check-out device for Airbnb guests, or a way to order your favorite pizza for delivery. You can integrate it with third-party APIs like Twitter, Facebook, Twilio, Slack or even your own company’s applications. Of course, tinkerers are one step ahead of Amazon, having already hacked previous Dash Buttons to do their automated bidding. Amazon is just making it that much easier. The programmable button comes at a significant markup—$20 versus the usual $5—and it’s really only meant for developers. It’s cool that Amazon is finally publicly acknowledging that the Dash Button is an idea with broad potential. And in a sense, it’s enlisting developers to find out what the good uses might be. We can’t wait to see what nerds come up with!